UPDATE: I've fixed the glitches in version 1 and compiled a spreadsheet with the data. See new download at the bottom of the post. And another, this time from Birmingham. You can see that I've dimmed the background so that you can get a sense of other green belt land in the areas I've mapped. There are some glitches in the data but my initial overview suggests the numbers are pretty accurate (see exceptions below). I hope that people might find these maps useful. If you want to use any of them, be my guest. Warnings: A couple of issues with version 1... 1. 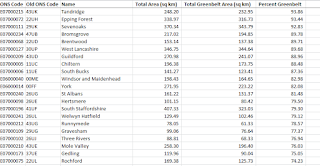 The West Lancashire greenbelt area extends into the sea on the green belt shapefile available from DCLG, so the figures here are incorrect (working on a fix). 2. The figure for Ashfield is clearly wrong - not sure why, so I will fix that too. 3. 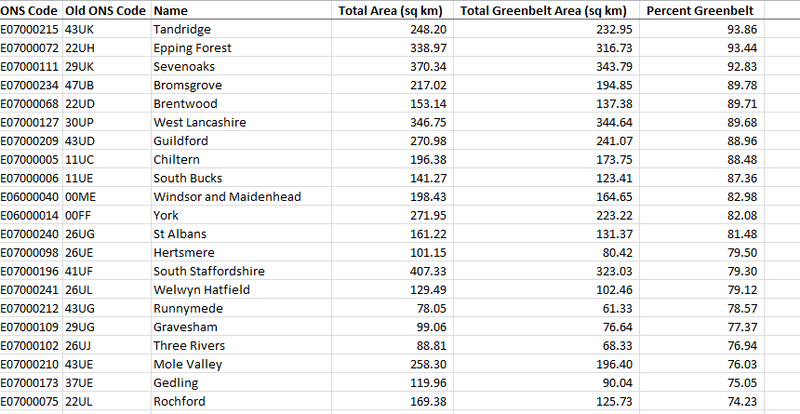 Some areas have extremely low values and may not actually be in the green belt - it may instead be down to the accuracy of underlying data. 4. 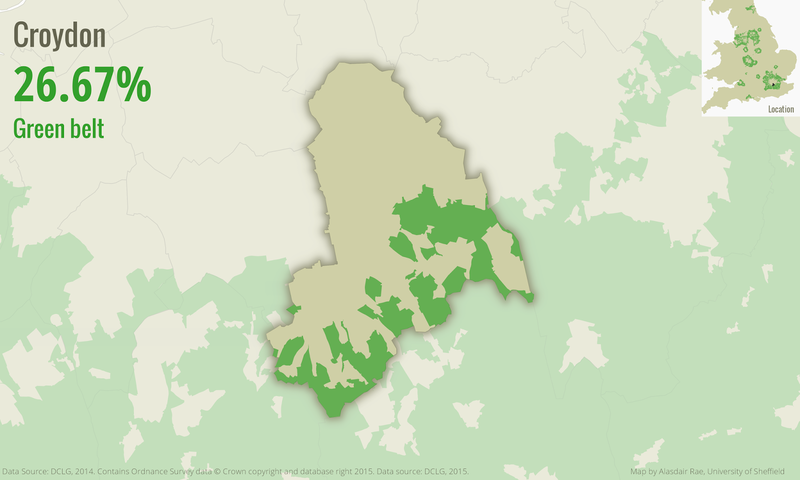 Mole Valley currently missing, am looking into why. 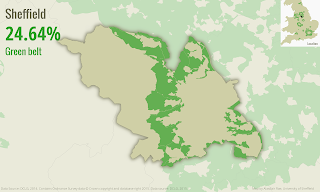 UPDATE: I looked again at the original Green Belt shapefile from DCLG and found that Mole Valley had the same code as Ashfield, so I fixed that and there's now a map for Mole Valley. 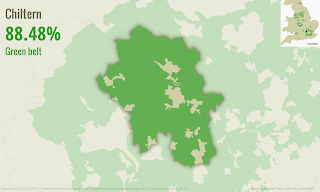 New Forest was also assigned two different codes, so I've fixed that too. 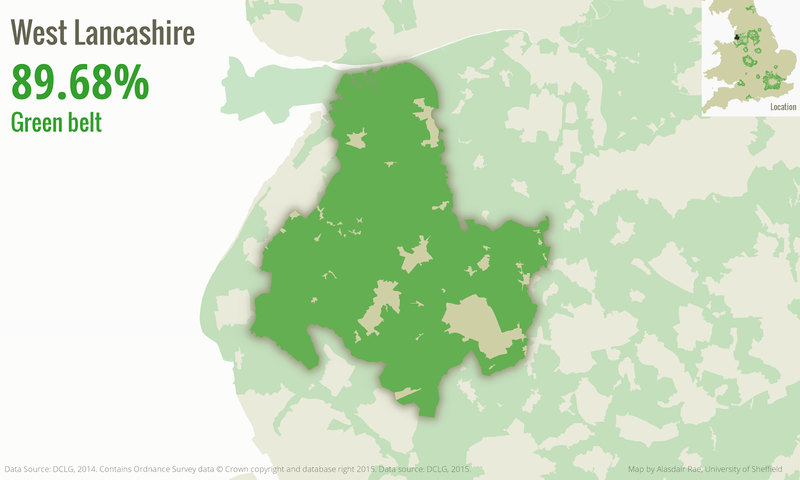 Also, in the percent figure, I've exluded the part of the West Lancashire green belt that is not on land, so this gives an accurate figure now. You can see from the image below that part of the green belt goes into the Ribble Estuary. 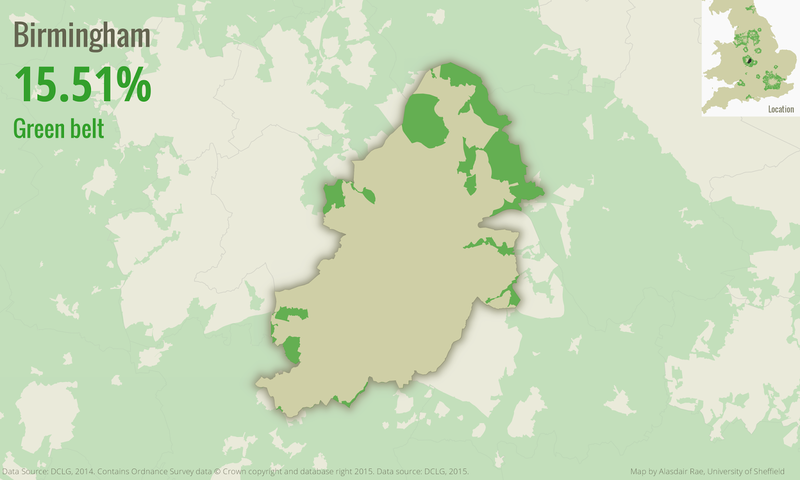 Technical stuff: I did this in QGIS 2.8 (open source GIS software) using the Atlas tool and a very heavy laptop, plus a bit of trickery I picked up here and there. I blogged about this before, with a little tutorial. 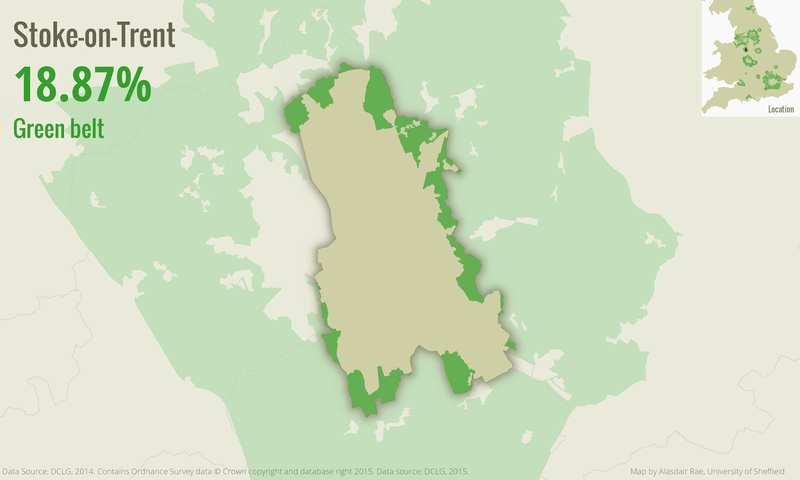 Perhaps I should actually be using the term 'green belts', as Richard Blyth pointed out, but forgive me for this. Where is all London's new housing?